(Text automatically translated) In the heart of the city center, 100 meters from the entrance of the Vatican Museums and 5 minutes from the city of St. Peter&#39;s are our apartments and Flavia Domitilla. Elegant and with all comforts, are the ideal base for visiting the city. The metro station is just 200 meters Cyprus allows easy movement for the visit of all monuments and corners that make it famous throughout the world the city of Rome. The apartment is basic but quite acceptable especially at the price - we stayed for 5 nights. The location is very good as it is close to the Vatican Museum entrance. The metro station is also nearby - just 5 minutes if you use the nearest approach down a street staircase. The metro is a great way of getting around. Walking to St Peter's Square in the opposite direction is no more than 15 minutes. The apartment has a private garden area which is quite spacious and excellent when you consider you are staying close to a city centre. The apartment has all the basic requirements but does not have extras (for example no washing machine). It should be noted too that the apartment is accessed by quite a lot of steps so not suitable for the infirm. The owner Giulia was helpful and advised us of places visit and how to get there. We had a problem with the water heater one night after returning to the apartment and she and her husband came to us after 11pm to get the problem fixed - excellent. All in all we had a great holiday and would recommend the apartment to anyone wanting to be close to the city centre without it costing a lot of money. The apartment was very comfortable for four people. The location was convenient, very close to the Vatican Museum and near the metro. Giulia was friendly and helpful. This apartment was perfect for us! The place is bright, clean, and roomy. The location is close to the metro, and walking distance to many sites. Guilia greeted us warmly and made us feel at home. Thank You Guilia for sharing your lovely space! We really enjoyed our recent stay at Giulia's flat. She was very accommodating to our last minute reservation (less than 24 hours before arrival). Giulia arranged a car service to meet us at the airport for an easy ride to the apartment. It's perfect for two adults and two teenagers. 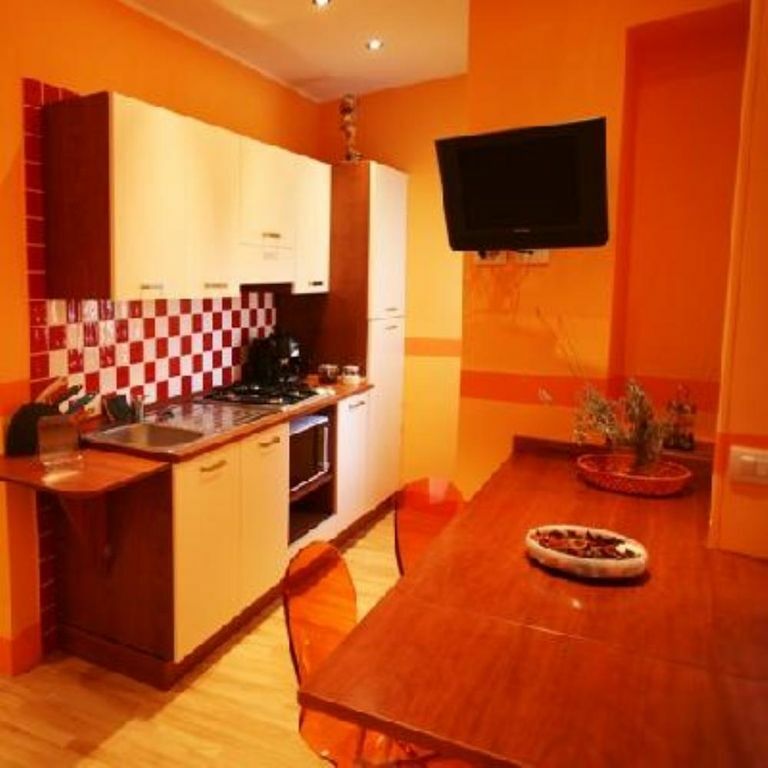 Fantastic clean apartment close to Vatican museum entrance. Giulia thank you for arranging the airport pickup well worth the extra bit. I would definitely recommend this property to anyone wanting a holiday in Rome. The real bonus is the outside area which you have sole use of and it is nice to sit in and relax after a hard days sightseeing.